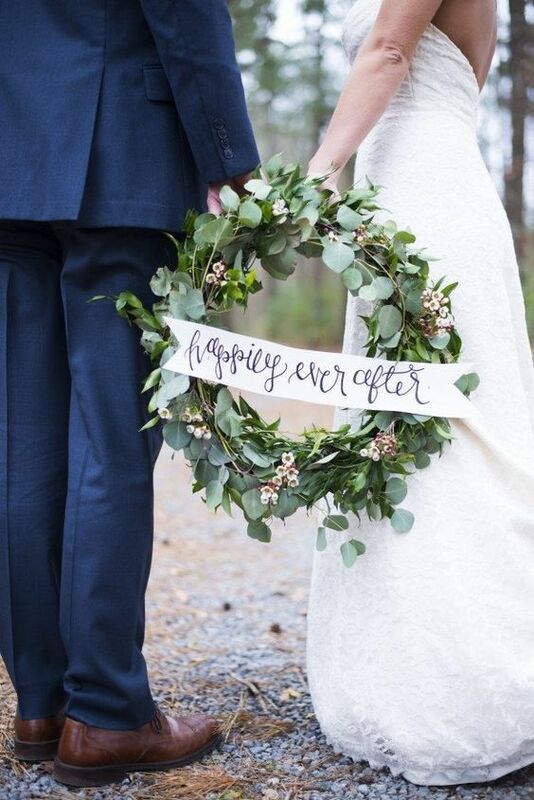 New Years Eve is a magical time of year to get married! Not only does NYE symbolize new beginnings, but it provides the perfect excuse to add glam and sparkle to your big day. 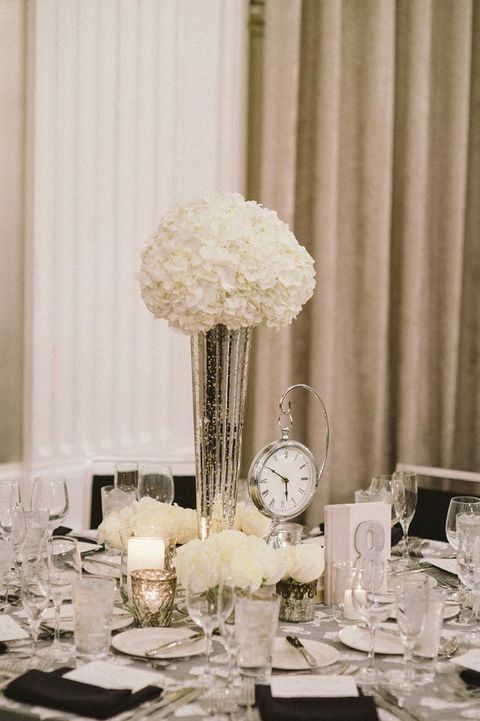 Think pure white florals with accents of gold, silver and sequins adorning every inch of your venue. Sounds amazing right? Read on to get inspired! If you have always dreamed of a spectacular, over-the-top wedding, this is your chance! 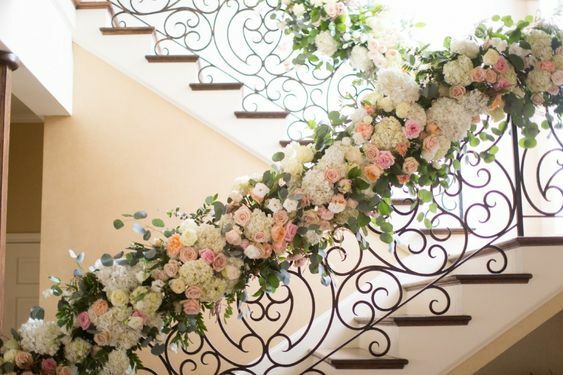 Go all out with sparkle, lighting and of course, your flowers. 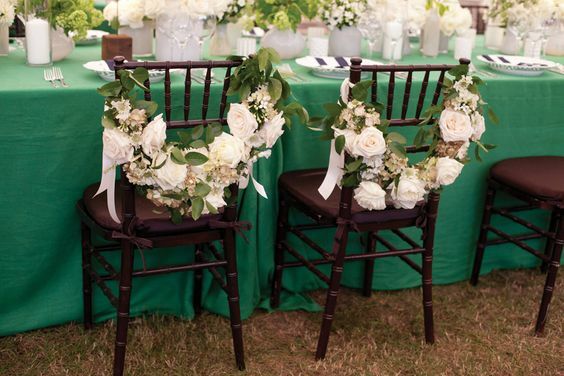 This is the perfect opportunity to showcase tall and lush centrepieces that command attention. Looking for something a little less flashy, but still fun? 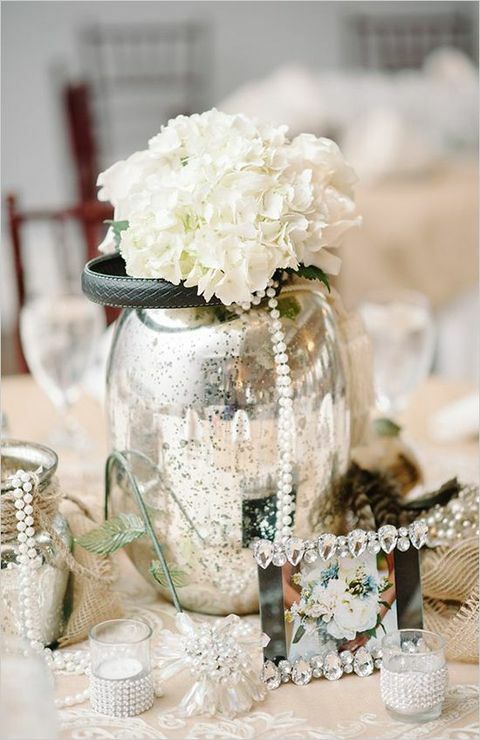 Try this lovely centrepiece displayed in a classic martini glass, or full bodied hydrangeas in a stunning mercury glass vase. Perfect for NYE! 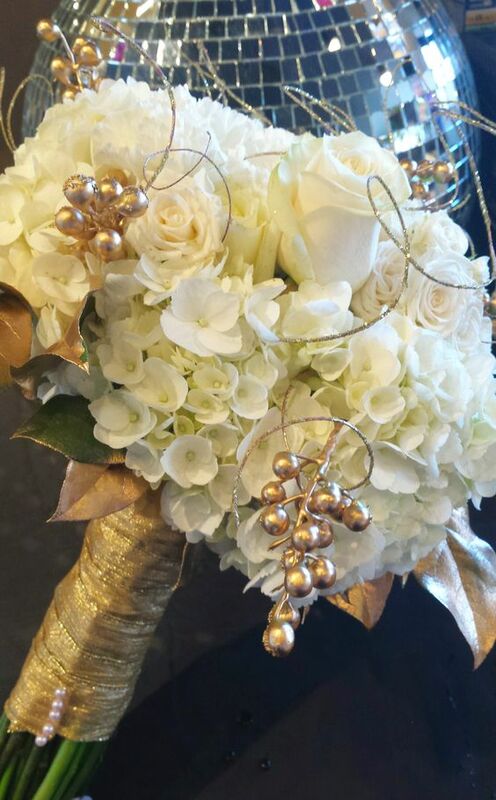 Your bouquet should be just as jaw-dropping as your centrepieces. Full white blooms such as roses and ranunculus, tied with gold ribbon or dusted with metallic spray paint, will help ring the new year in with style. Have fun planning your dream NYE wedding and dance the night away surrounded by gorgeous blooms that show off your glamorous taste! Happy New Year! 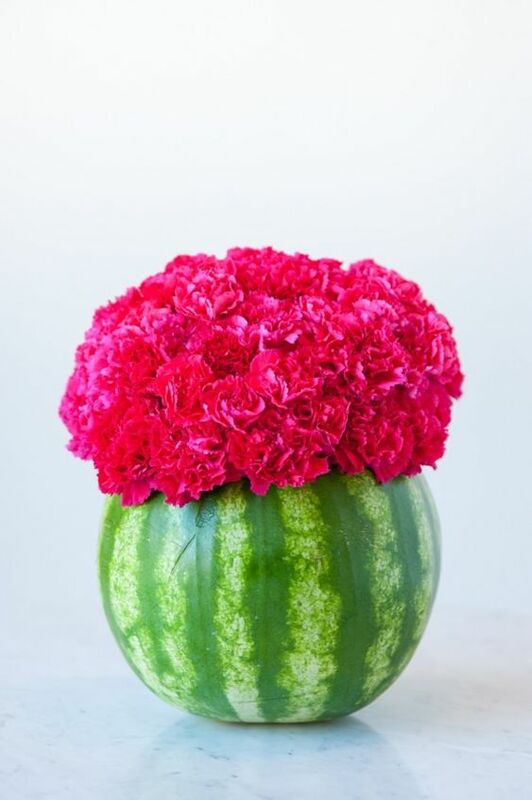 Ask our expert florists for more tips and shop our wide variety of flowers at bunchesdirect.com. 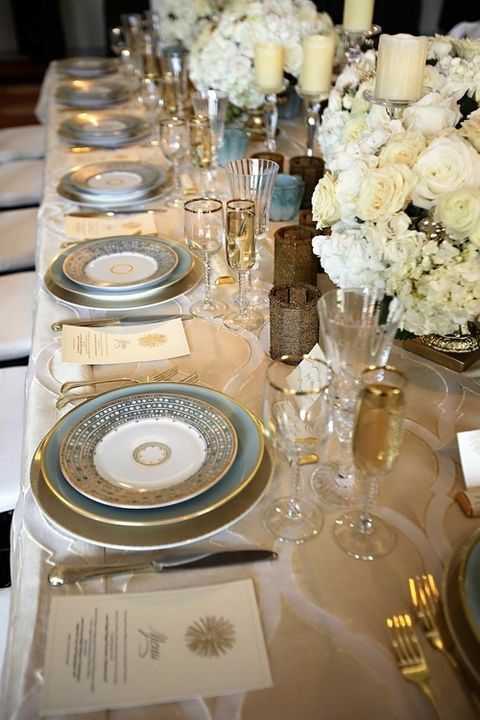 Vintage elegance is a wedding trend that seems to never go out of style. Something about antique lace, soft colours and statement jewellery evokes old school romance that can’t be beat! 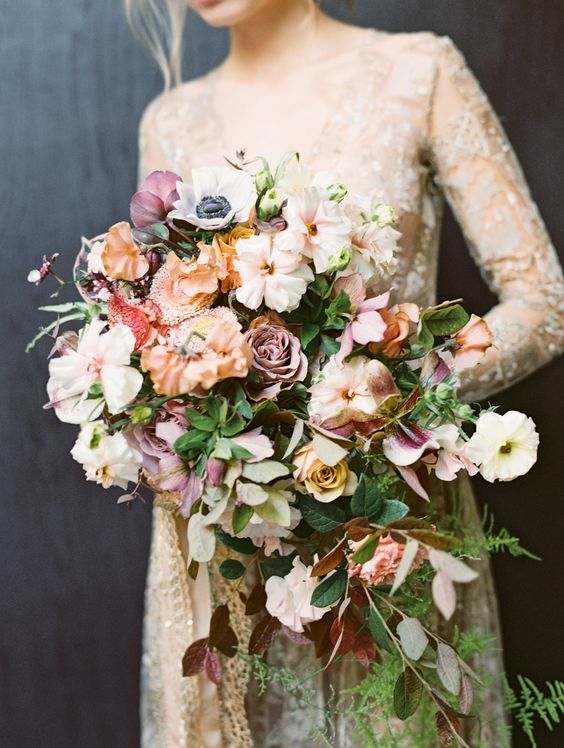 In 2017, and moving into the 2018 wedding season, vintage brides are loving large blooms in muted or pastel colour tones. 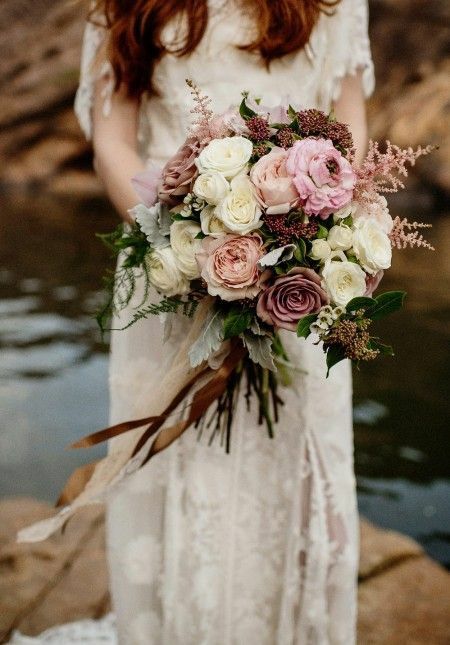 Think Garden Roses and Peonies in dusty pink, cream and green like our Morning Joy Bridal Bouquet. 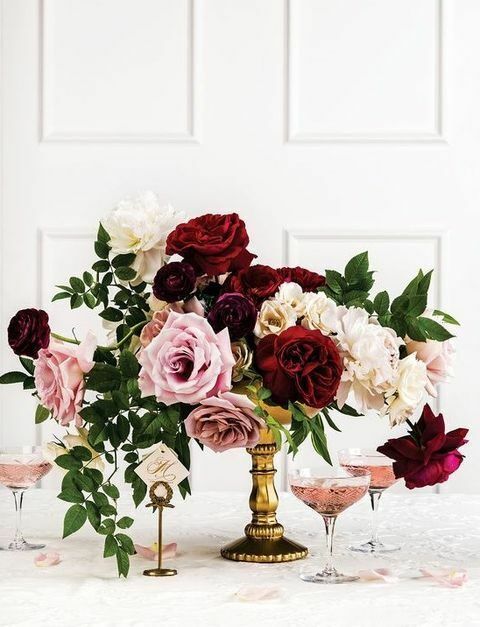 Pops of rich red wine hues can work too, especially if you’re planning on incorporating velvet into your decor. Other soft petal flowers that can help create this look are Delphinium, Cornflowers and Dahlias. And don’t forget some of the classics like Baby’s Breath, Lavender and Carnations that all bridal bouquets had back in the day because of their low price tag. 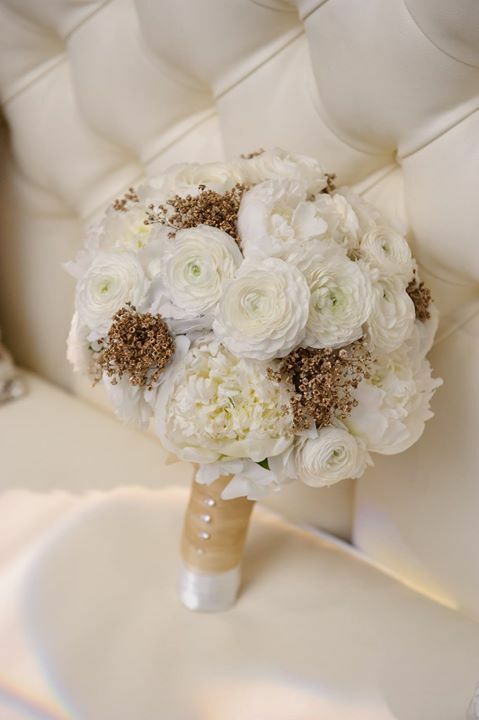 Our Pure Baby’s Breath Bridal Bouquet is a perfect choice. 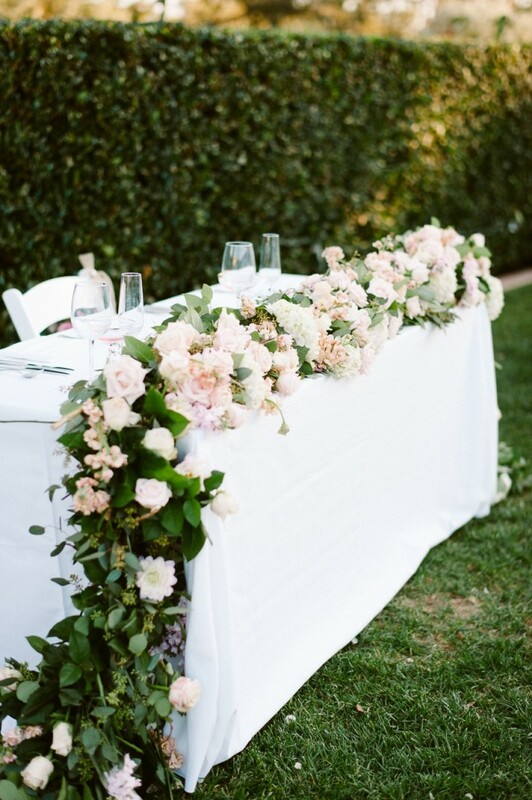 Combine two of this years trends by adding greenery in muted tones such as Eucalyptus and Ruscus, and voila! The perfect bouquet for any vintage vixen. Opt for a cascading bouquet for added drama and use your grandmother’s favourite brooch or tie the stems with lace to complete the look. Once you’ve chosen your varietals, make sure to display them in a way that’s true to your theme. 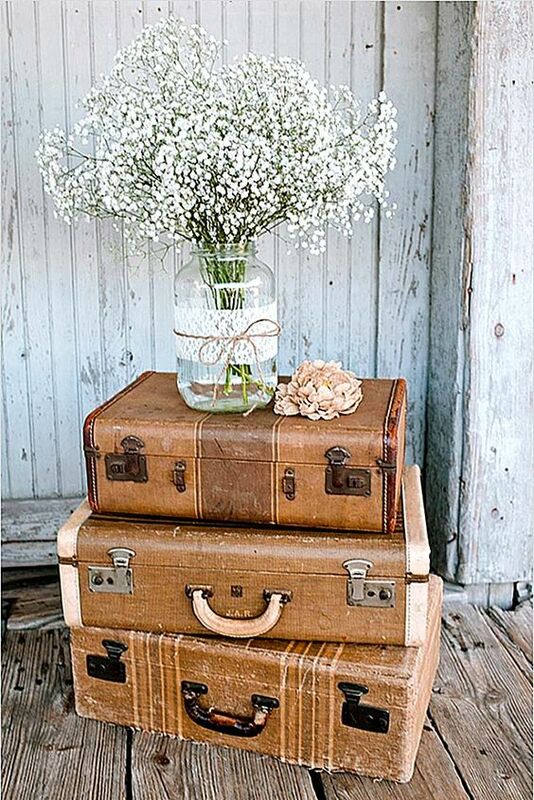 Look for antique vases in different shapes and sizes, easily found at flea markets or garage sales. Be creative! Tea cups, jars or old planters make perfect flower holders and can add a touch of whimsy. 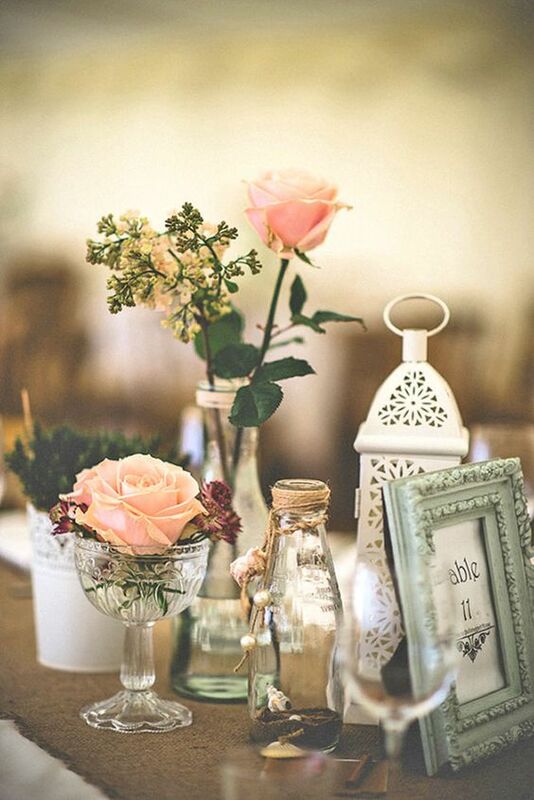 Don’t stop at your bouquets and centrepieces, using flowers in a wide variety of places is back in style too. 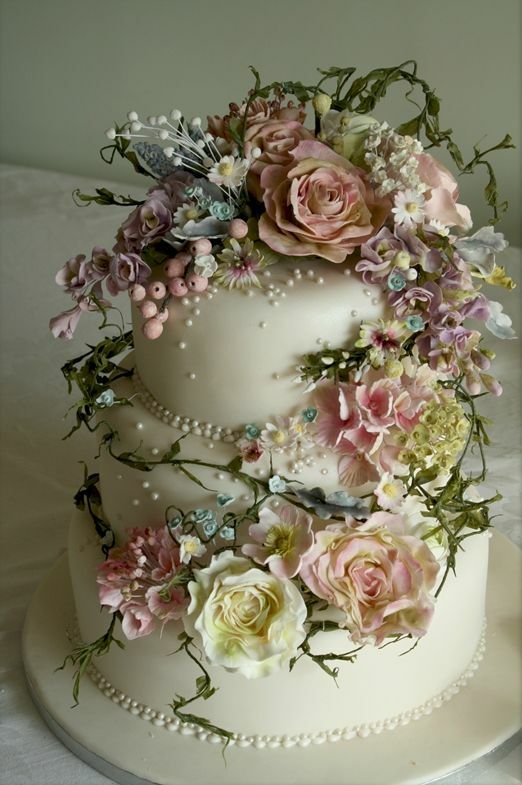 Cake toppers made of Roses and Peonies or even edible blooms are classic. 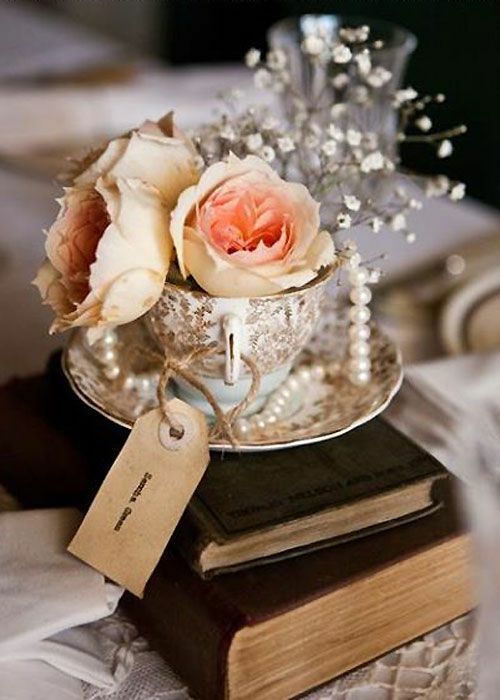 It’s simple, to add vintage flair to your wedding day, pay attention to the details. 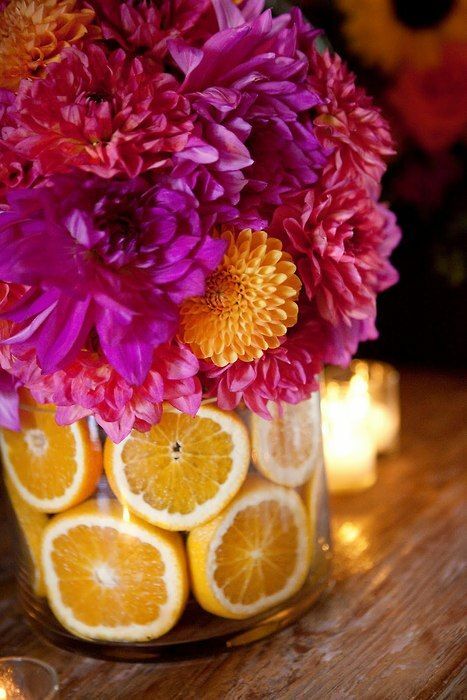 The type of flowers you choose will impact your theme and which decade you want your guests to feel transported too. 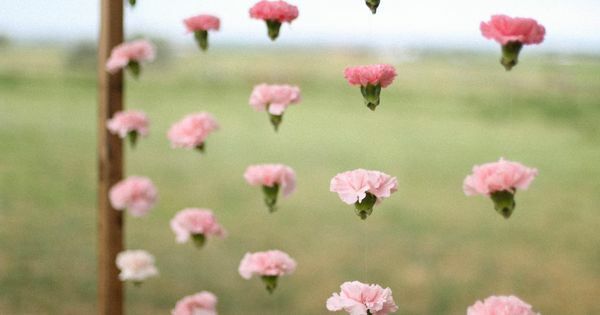 Flowers can add softness or drama, romance and flair. 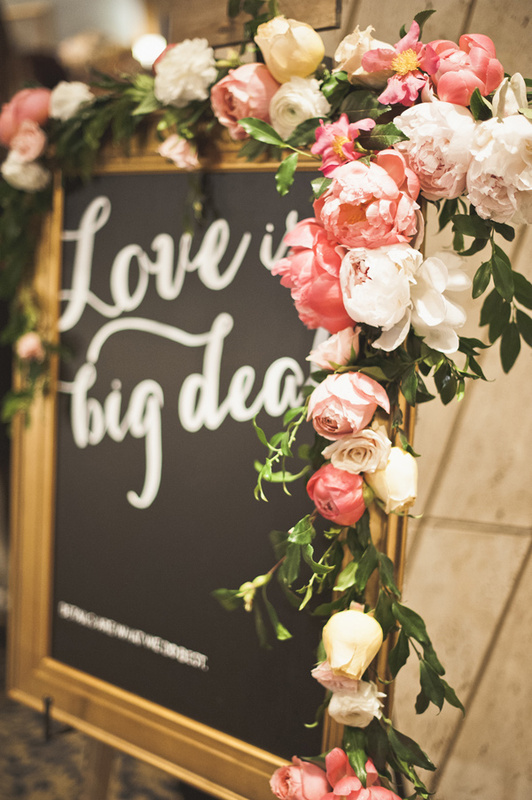 Ask your florist to help you pick the perfect blooms and watch your vintage dreams turn into wedded bliss! 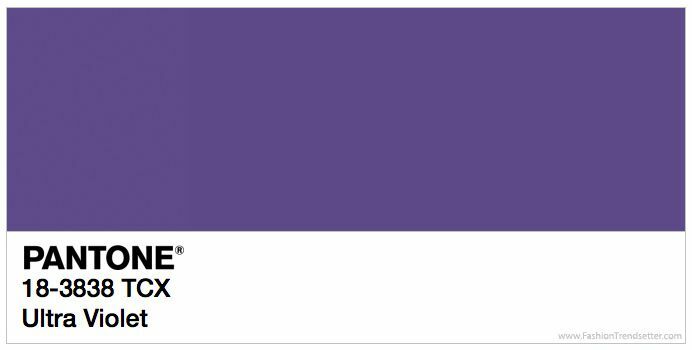 For bulk flower purchases, bouquets and all your floral needs visit bunchesdirect.com.